The New Great Game refers to the conceptualisation of modern geo-politics in Central Asia post-Soviet Union breakup. This is characterised by the competition between regional, extra-regional and superpowers in Central Asia. This involves countries such as Russia, the US, China, India, Saudi Arabia, Britain, Turkey and Israel. Because of the geo-political as well as geo-economic importance of the region, Central Asia has for long been a region of tussle between the great powers. Being rich in natural resources like oil and natural gas, major powers in the international system keep eyeing these resources which could satisfy their fuel and energy-hungry domestic markets. After the disintegration of the Soviet Union in 1991, the term ‘New Great Game” has been used to describe the modern geopolitics in Central Asia, which is characterised by a competition between the United States (US), Britain and other NATO member states against Russia, China and other states of the Shanghai Cooperation Organisation, for influence, power and hegemony in Central Asia and Trans Caucasus. This article looks into the role played by India in the New Great Game in Central Asia. The article also looks into the level of engagement India has with Central Asia over the last quarter of a century. The Great Power game refers to the historical rivalry between the British Empire in the Indian Sub-continent and Tsarist Russia in the 19th and the early 20th century. It was basically a clash of imperial ambitions between two great powers and the territory of Afghanistan provided a buffer between the Russian and the British Empires, almost managing to avoid a direct confrontation between these two powers. The concept of ‘Great Game’ or the ‘Great Power Game’ was popularised by the writer Rudyard Kipling2 in his novel ‘Kim’ published in 1901. Although, the term ‘Great Game’ was used even before Kipling had used this term. An officer from the British East India Company, Arthur Connolly, had coined this term much earlier than one finds the references of this expression in Kipling’s novel. Back in the early and mid-nineteenth century, there was a fear in the minds of British officials of East India Company3 that the advancement of Tsarist Russia into the Khanates of Central Asia might prove extremely detrimental to British interests in the Indian sub-continent. The fear was of losing out territories to the Tsarist Russia. That is why after the first Anglo-Afghan War in 1838, the victory of British allowed them to setup a puppet regime of Shuja Shah in Afghanistan so that it could be used as a buffer state against the advancing Tsarist empire. Also, because of the difficult terrain and geography of the region, the British wanted to stop Russia’s advancement in Central Asia and present day Afghanistan. This is because if the Russians managed to cross Afghanistan, it would have been much easier for them to cross over the plains of Punjab and advance deep into the territories of the Northern India. The situation on the ground was almost like a game of chess where every move mattered, though it is true in some sense for the ‘New Great Game’ as well. Tsarist Russia annexed cities of Tashkent in 1865, Samarkand and Bukhara in 1868 and enhanced the conquest of Central Asia in the second half of the nineteenth century, causing great tension to the British colonial administration which was now directly controlling India, with the Queen as its head, after the Revolt of 1857. Though, even with all these successes in Central Asia, the Tsarist Empire could not cross Afghanistan and as a result, any direct confrontation between the two great empires was avoided. The New Great Game refers to the conceptualisation of modern geo-politics in Central Asia post-Soviet Union breakup.4 This is characterised by the competition between regional, extra-regional and superpowers in Central Asia. This involves countries such as Russia, the US, China, India, Saudi Arabia, Britain, Turkey and Israel. Because of the geo-political as well as geo-economic importance of the region, Central Asia has for long been a region of tussle between the great powers. Being rich in natural resources like oil and natural gas, major powers in the international system keep eyeing these resources which could satisfy their fuel and energy-hungry domestic markets. There are many aspects revolving around this New Great Game which includes things such as connectivity, trade, commerce, infrastructures, energy, pipeline politics, ideology, ethnicity and even terrorism. The New Great Game got more entrenched specially after post 9/115 with direct, active and rigorous involvement of the US in the region. The newly independent republics post-Soviet Union breakup i.e. Kazakhstan, Kyrgyzstan, Tajikistan, Turkmenistan and Uzbekistan are the local players in this New Great Game which are directly impacted and the stakes for them are also high. This is precisely because the game is played on this territory for gaining control over its rich resources. In the last quarter of the century, which almost coincides with the disintegration of the Soviet Union, the role played by different powers in the region, has been fundamentally different from each other. The way different major powers have engaged with the region has also differed as the stakes for each of these powers are different. The Central Asian Region is considered to be India’s ‘extended neighbourhood’. The region features very high in India’s foreign policy especially in the recent past. India and Central Asia share historical and cultural linkages of around two thousand years. Right from the Kushana Empire in ancient India to the Mughal Empire in the Medieval Age, the connectivity between the two regions has been very high. Even after India got independence and Central Asia was a part of USSR, India was one of the few countries which had access to this region and had a consulate at Tashkent during the Cold War period. After the disintegration of the USSR in 1991, followed by the emergence of five new independent nation-states namely, Kazakhstan, Kyrgyzstan, Tajikistan, Turkmenistan and Uzbekistan, India established diplomatic relations with each of these countries. India did not take much interest in the region in the 1990s. However, the then-Indian Prime Minister PV Narasimha Rao visited Kyrgyzstan and Turkmenistan to establish deep ties with these former Soviet states, which used to be India’s largest trading partners before 1991. “The victory of Taliban in Afghanistan in the mid-1990s changed the geo-political situation in Central Asia. The security of Central Asia and that of India got closely connected. The five newly emerged states were afraid of any destabilising influence from Afghanistan, while India’s concerns about Pakistan’s search for ‘strategic depth’, forced Delhi to change its non-serious attitude towards Central Asia” (Patnaik, 2016). Assessing the situation carefully, India realised that it had to start playing a proactive role in the region’s geo-politics. This was specially to keep a check on the cross-border terrorism which was sustained by fundamentalist forces and the rise of extremism in the region. The 9/11 attack was a watershed for international politics. Once that happened, India chose to co-operate with the Central Asian states on various security and defence-related matters. India also supported the US in its Global War on Terrorism post-9/11 and provided financial assistance to the Northern Alliance6. It was and still is in India’s own best interests to have a secure and stable Central Asia. India’s access to the region is hindered by geography. There is no land border between India and the five states of the region. The presence of an adversary like Pakistan has always been a challenge for India to reach Central Asia. The reason why Central Asia is so important for India is that the region will help to maintain its status both as a ‘regional power’ and an ‘emerging power’7 in the international system. Of late, it seems that India’s influence in its ‘immediate neighbourhood’ is diminishing with China’s rising influence on each of the India’s neighbours. Even countries such as Nepal and the Maldives which used to have very cordial relations with India are now tilting towards China. Every country which aspires to be powerful or has become powerful in history has always had a ‘sphere of influence’. India wants that sphere to be in Central Asia for two reasons. One, even if India loses out to China some influence in its immediate neighbourhood and Indian Ocean Region, India could compensate it by having an influence in Central Asia. Secondly, if India manages to keep things intact in its neighbourhood and also increases its influence in the Central Asian Region, that would make the situation even better for India. In both the cases, it would be a ‘win-win’ situation for India. However, to make Central Asia a region of influence, is an even bigger task for India because of the presence of many regional and extra-regional players in the region. The China factor is present there too. Therefore, India is focusing more on engaging with the region via the means of trade and economic diplomacy.8 India knows that the resource-rich region could help India satisfy its needs for energy and oil. 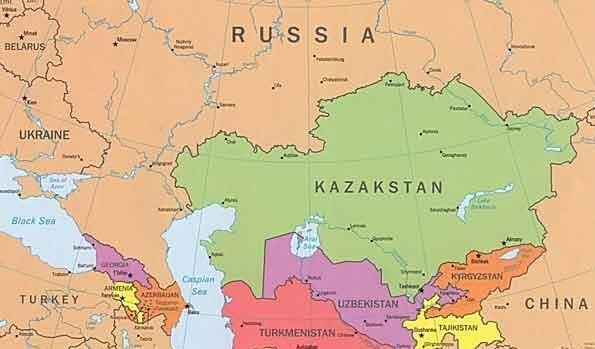 Central Asia is looked at by many countries as an alternative to the Middle East in terms of its oil and energy resources. In that respect, India found Turkmenistan to be a potential source for India’s energy security. The Turkmenistan, Afghanistan, Pakistan, India (TAPI) pipeline project was envisaged with a vision of energy diplomacy. This is a multi-billion dollar project, but considering the pipeline had to cross through unstable areas of Afghanistan and Pakistan as also India’s reluctance to depend on a route controlled by Pakistan, the pipeline project has not been completed as yet. This year, the new rounds of talks have started between all the stakeholders to complete the pipeline project. India’s overall approach towards Central Asia can be assessed by her Connect Central Asia Policy. This policy formulated in the year 2012 at the first India-Central Asia Dialogue at Bishkek, Kyrgyzstan, outlines few key elements of India’s relations with Central Asia. It talks about political relations, economic relations, defence co-operation and building ties in the energy sector. In his statement at Bishkek, India’s Minister of State (External Affairs), E Ahmed outlined the policy by making a noteworthy remark, “Central Asia, over the last two decades in general and recently in particular, is witnessing an unprecedented integration into the global economic and political mainstream. We, in India, rejoice in this trend of the expanding influence of Central Asia, particularly on the world energy scene. We recognise Central Asian countries as close political partners in our ‘extended neighbourhood’, a precept which has become a key element of our foreign policy”. India’s admission into the Shanghai Co-operation Organisation (SCO) in June 2017 is a step forward towards engaging more deeply and holistically with the region. SCO is one the most important regional organisations in which India was admitted as an observer way back in 2005. India has shown deep interest in the region and the government-to-government i.e. G2G interaction has increased. This has been visible under the present government headed by Prime Minister Narendra Modi when he visited all five Central Asian states in July 2015. This was the first time an Indian Prime Minister had visited all Central Asian states post-Soviet Union breakup. “India’s economic success in recent times has changed the nature of its ties with the region. 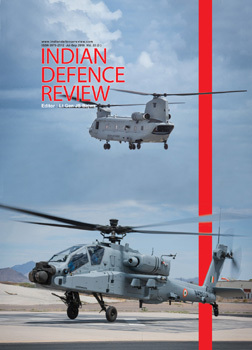 The attractiveness and capacity for India’s involvement in the region have grown. India’s engagement with the region has faced obstacles due to lack of land access routes, competing interests of China and US hostility towards Iran” (Patnaik, 2016). Iran has become extremely crucial as it provides India a gateway into the region through the Chabahar Port. India will literally bypass Pakistan to move goods to Central Asia and beyond. To conclude, India is emerging as a major player in Central Asia. The involvement on the part of India is expected to increase even more in the coming years with private players joining in. Once Chabahar port gets fully operational, India will play a much bigger role in the region.